Helping you attract clients with authentic imagery deserving of your craft. Having your work photographed should be a fun and collaborative experience while equally matching the attention to detail and high standards that you’ve built your brand on. Here to provide value - Together we can help your prospects experience what you do best! 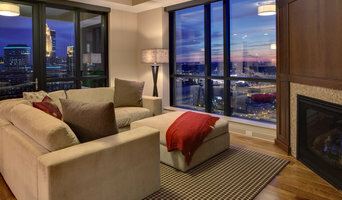 I'm a Twin Cities-based professional photographer specializing in residential and commercial interiors and landscape. I love working with talented designers, architects, real estate professionals and landscape designers to showcase their work. Contact me if you're ready to update your Houzz account, website, social media or other marketing materials with great photos of your recent projects. Specializing in architectural, interior design, and nature photography, Scott Gilbertson has been capturing images for over 40 years. As a kid who grew up shooting black & white film and then slides, he now shoots exclusively in the latest digital format. Also a licensed architect, Gilbertson has a trained and experienced eye and does what it takes to get the images you want, the images you need. His work has satisfied some of the biggest and most demanding clients in their industries; he can do the same for you. An emotional connection transforms a photograph into a dream, a video into a memory, and a house into a home. Taking a viewer on that emotional journey transforms a customer into a buyer. Dean Riedel is a Twin Cities based photographer specializing in architectural photography, real estate photography and virtual tour imagery. He has a genuine passion for capturing breathtaking images of many of the area's most spectacular residences. Dean has been photographing real estate for years and he has been evolving his digital photography business as the industry has been changing. From his beginnings producing 360 degree spin virtual tours (360VIP), to the latest, most popular cross-platform web-based virtual image presentations, Dean is committed to meeting and exceeding the expectations of his clients. Today, Dean provides a wide range of professional real estate photography services to his clients, including High Dynamic Range (HDR) still photography, virtual tour packages, virtual image slideshows and much more. Architectural photographer specializing in interiors, exteriors and gardens including people and animals whenever they wander in or out. My name is Alyssa Lee, and I am a Minnesota based architectural photographer. I love everything about light - from watching the way the natural light fills rooms and leaves sun streaks on the floor to being able to replicate that look even on a rainy day! I believe my photos should tell a story about the space. I strive to make people want to be in that room or space. I believe my love for architectural photography comes largely from my time spent helping build these homes with Welch Forsman Associates. Having worked with the people who create these spaces, I appreciate the details from the very first stages of design to the finishing touches. If you have any questions, please don't hesitate to contact me. LandMark Photography is owned and operated by photographers Jim Kruger and Jon Huelskamp each with 20 years of architectural photography experience. Since 2004 Bullis Photography has been providing clients with the highest quality images available in both the commercial and fine art markets. In 2006, Justin Bullis received his Bachelor of Fine Arts Degree in Photography after completing his undergraduate education at the Minneapolis College of Art & Design. Since that time, he has been shooting mostly architectural photography for commercial clients. 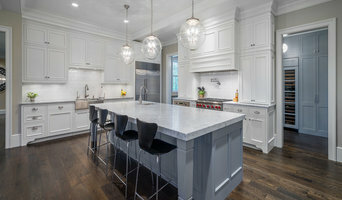 Specializing in photography of residential and commercial interiors and architectural exteriors in and around Minneapolis, St. Paul and the entire Twin Cities metro area since 1985. Each photo will show your work in its best light (pun intended) so you can make your best impression on your next client. 30 plus years of experience. High quality residential and commercial architectural photography. Spacecrafting provides high-quality architectural photography of residential and commercial properties in Minneapolis, Saint Paul and the surrounding areas. 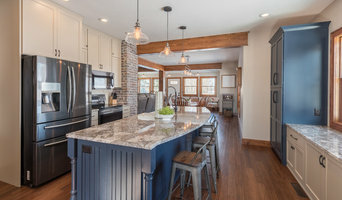 Our highly-trained photographers work with a wide variety of realtors, brokers, builders, and architects, crafting an experience that affords our clients the flexibility to customize the listing to their marketing needs. 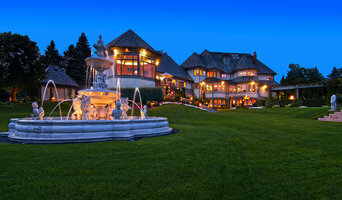 We strive to give our clients an abundance of images to tell each properties story. We also offer a new and exciting way to showcase your property through stunning high-definition aerial photography and video. Our in-house editing team enhances each photograph, and our complimentary blue-sky upgrade provides you with impactful images guaranteed to draw in potential buyers. Minnesota based commercial photographer and video producer specializing in interiors and architectural photography. Before you call any potential photographers, make sure they have good references. Friends who've sold or rented homes before are great resources, as are local real estate agents. Look through each Minnesota photographer's online portfolio to make sure what you're looking for is being offered. Once you've done that, it's a good idea to walk around your home and write down exactly how many and what types of shots you'll need. Include any specifications you might have, such as angles, things to consider about your home’s Burnsville, MN site, the time of day you think will be best and aspects of your home you want to highlight. Find a home photographer on Houzz. Narrow your search in the Professionals section of the website to Burnsville, MN photographers. You can also look through Burnsville, MN photos by style to find a room you like, then contact the professional who photographed it.